This is what a drumlin looks like. Sage Run’s big ridge is clearly a factor on the par-3 fifth hole. Very few new golf courses are opening these days. That's just a reflection of these economic times. One did in July in Michigan's Upper Peninsula, however. The Paul Albanese-designed Sage Run is brand new. It's no renovation built over an existing course. This one was created on previously untouched land as part of an $8 million renovation of the Island Resort & Casino, which is eight miles away and already had a quality layout - Sweetgrass - on its property. Sage Run is no Sweetgrass, which was also designed by Albanese. 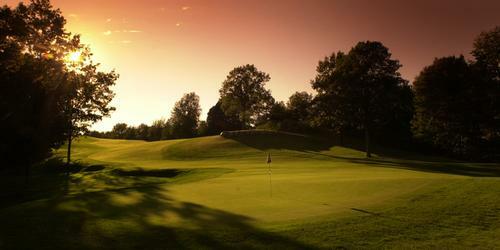 It opened in 2008 and has blossomed into one of the very best courses in golf-rich Michigan. Sweetgrass, obviously more mature, is better now and Sage Run is different - not worse, just different. That's the way Albanese wanted it. Sweetgrass already has more than its share of aficionados - I'm certainly one of them - but golfers will be talking about Sage Run as soon as they play it for the first time. Albanese brought a new buzz word to golf architecture - drumlins - when he unveiled Sage Run to a bunch of golf media people who were virtually unanimous in never having heard the term. Albanese used a very large ridge when he designed Sage Run. It runs through the center of the 300-acre property and the holes go around, over and through it. Though golf architects may know the term Albanese has used a drumlin on only one of his previous courses - Mill Creek in Upstate New York. 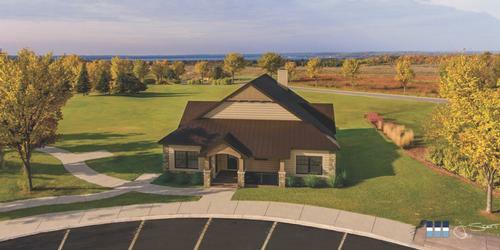 Leaders of the Potawatomi tribe gave Albanese thousands of acres on a typographical map to find a place to build a golf course, and he decided on this one. Sweetgrass didn't have drumlins. Neither did Tatanka, an Albanese creation in very rural Nebraska that was named Best New Resort Course by Golf Magazine in 2015. Albanese is believed to be the only Harvard educated golf course architect. A resident of Plymouth, Mich., he is partnered with Chris Lutzke, a former Pete Dye associate, in Albanese & Lutzke Golf Design. Though he is currently working on a course in Vietnam, Albanese has worked extensively with Indian tribes in the past. Sweetgrass, Tatanka and now Sage Run were all projects done in conjunction with tribes and are part of casino facilities. Sweetgrass is in a class of its own, but there are similarities between Tatanka and Sage Run. 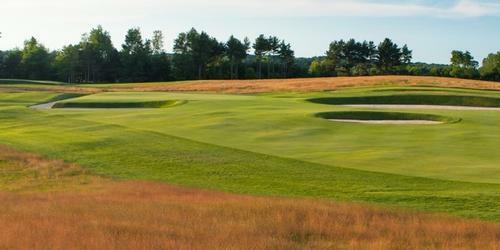 Low-Mow bluegrass was used for everything except the greens at Sage Run. The putting surfaces are bentgrass, but the tees are more noteworthy. Their concept is in keeping with the unusual focus on the big drumlin. Sage Run plays 7,375 yards from the tips, while Sweetgrass' maximum yardage is 7,275. 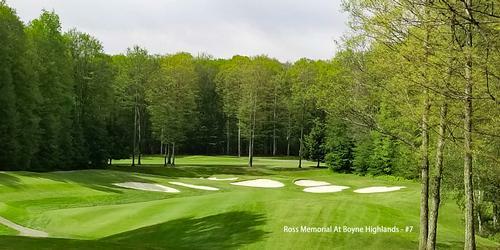 Sage Run is also longer from the front tees - 5,231 yards compared to 5,075. Raters have visited Sage Run but not yet revealed its rating or slope numbers. While Sage Run is the latest new thing in golf course design, Sweetgrass is every bit as memorable. A particularly interesting touch design-wise is the use of a bridge to the island green at No. 15. The bridge runs right up to the putting surface. Sweetgrass has names for its holes - God's Kettle (No. 2), Michigami (No. 4), The Serpent of the Flood (No. 5) and Trailing Arbutus (No. 9) are my favorites. They all point out the history of the area. Sweetgrass was the first plant to grow on mother earth and the Potawatami used it in making its medicines. Sweetgrass can also be found in the low-lying areas surrounding the course. According to tribal lore, the other traditional Potawami medicines were cedar, tobacco and sage. The latter led to the naming of the new course as Sage Run. Sweetgrass also has the replica of some fierce-looking eagles protecting the green at No. 13 and a wolf replica that blows in the wind is a feature on the No. 18 fairway to scare off unwanted intruders. Waterfalls are in view leading up to the double green that serves Nos. 9 and 18 with the casino and its hotel serving as a backdrop. 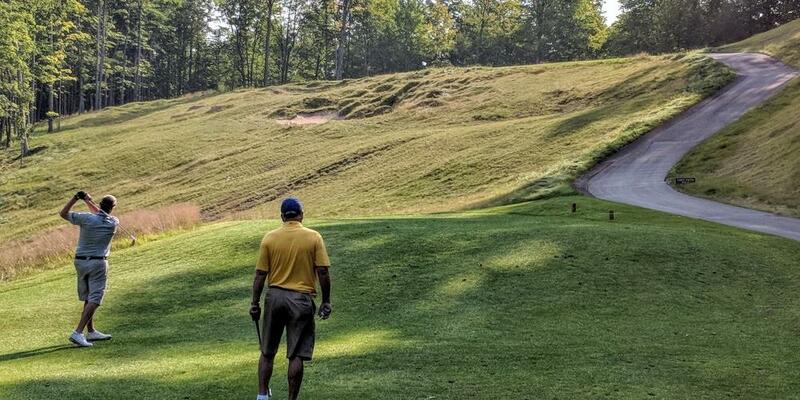 All in all, Sweetgrass and Sage Run both make for most interesting golf adventures.